Set in Kyoto, Japan in 1863. 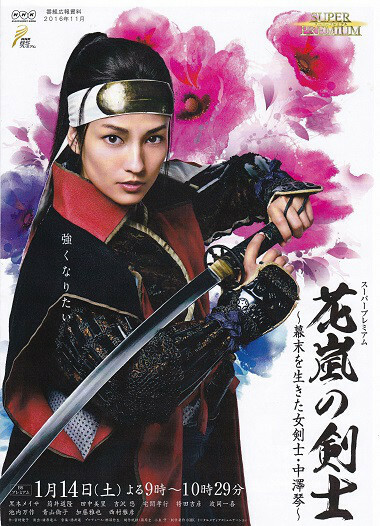 Koto Nakazawa (Meisa Kuroki) learned from her father Emon Mago (Masahiko Nishimura) "Hoshinryu" which is a Japanese fencing school of thought. She leaves her hometown to become stronger. Koto Nakazawa and her older Sadamasa (Michitaka Tsutsui) take part in "Roshigumi" ("Kyoto Defenders") led by Hachiro Kiyokawa (Mansaku Ikeuchi). One day, she stops outlaws who threaten merchants. When she is about to use her sword, Ryoma Sakamoto (Masaya Kato) stops her.